Rediff.com » Movies » Interesting weekend for Malayalam movie goers! Interesting weekend for Malayalam movie goers! Three Malayalam films reach the screens today on May 1. Lijin Jose’s Law Point, Ajith Pillai’s Mosayile Kuthirameenukal and Babu Narayanan’s To Noora with Love are the films. Here is a closer look at the three releases. 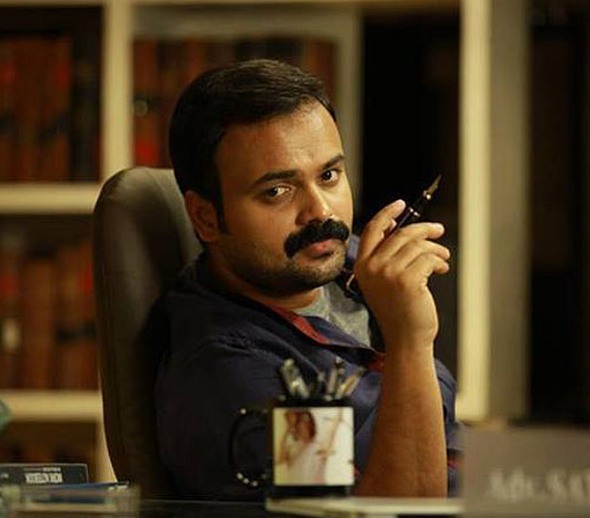 Kunchacko Boban will be seen as a lawyer for the first time on screen, in Lijin Jose’s Law Point. “This is actually a mind game between Sathya (Kunchacko Boban) and Maya (Namita Pramod). The film handles a serious issue but has been narrated in an entertaining way,” says Lijin Jose, who has earlier directed Friday. David Kachappilly is the producer. Neil D’ Cunha is the cinematographer and Mejo Joseph is the music director. Mamta Mohandas is back facing the camera, after recovering from cancer, in director Babu Narayanan’s To Noora with love. The film has Krish J Sathar playing the male lead, along with Kaniha, Mukesh and Archana Kavi. Alagappan is the cinematographer and Mohan Sithara is the music director. Mosayile Kuthirameenukal is about a journey involving two young men from Kochi to Lakshdweep. ‘Mosa’ in Lakshadweep lingo means big waves and ‘kuthirameenukal’ are swordfishes, which are known for their selfish nature. Produced by Niyas Ismail, Mosayile Kuthirameenukal has camera by Abhinandan Ramanujam and music by Prashanth Pillai. The HOTTEST styles at IIFA 2014? VOTE!